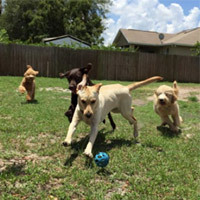 The 1 Dog Trainer Academy is a local dog training school based in Deltona, Florida. 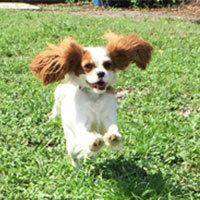 We provide professional dog training services to the Central Florida area, from Daytona Beach to Orlando and beyond. We have a variety of programs available for your dog, including puppy training, basic and advanced obedience training, personal protection training, and service animal training. 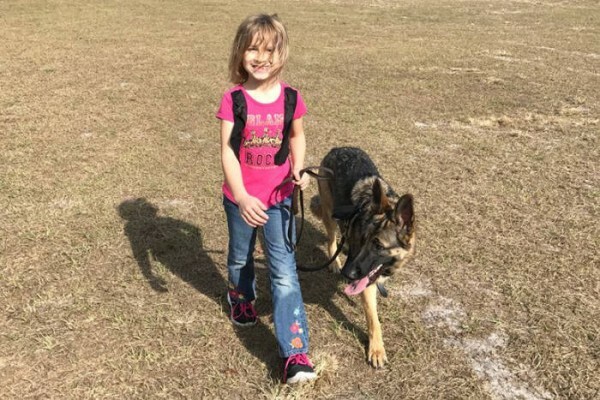 We also have professionally trained dogs for sale (by request only), including obedience-only dogs (available with three different levels of training), certified service dogs, and kid-friendly and animal-friendly personal protection dogs. Other services we offer include puppy raising and location services, including temperament testing and a health check, to find the right dog for you. 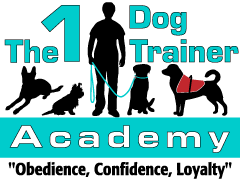 At The 1 Dog Trainer Academy, we have over 17 years of professional dog training experience. We are also certified in multiple areas of dog training. We are licensed and insured, Professional Member of the Association of Professional Dog Trainers, longstanding American Kennel Club Evaluator, Pet First Aid and CPR Certified by PetTech, and Certified Service Dog Trainer with PSD Registry. All dogs raised and trained at our Academy live in our home, not a kennel. This allows us to ensure all dogs are trained and have proper manners inside and outside the home. All of our training methods use positive reinforcement, allowing our Cadets to be happy members of our pack and yours! 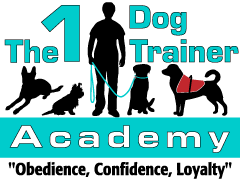 The 1 Dog Trainer Academy has been training dogs since 2001 as a professional dog training. We are licensed and insured, Professional member of the APDT, longstanding AKC evaluator, Certified Service dog trainer with PSD Registry. We offer a wide variety of options from puppy raising, puppy training, basic & advance obedience, certified service dog training professional protection training (to qualified dogs). 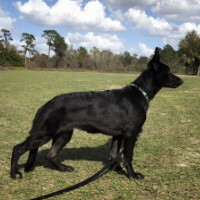 We specialize in the sale of professionally trained dogs from 3 levels of obedience, certified service animal, kid and animal friendly personal protection dogs. All dogs raised and trained at our academy live in our home not a kennel. This allows us to ensure all dogs are trained and have proper manners inside and outside the home. All of our training methods are positive reinforcement allowing our cadets to be happy members of our pack and yours! Jump start your puppy with our foundation puppy training classes, designed to help your puppy get the full understanding of proper positions and commands that he/she will need for future obedience training. Enhance your dog’s obedience training by letting him/her attend our Basic Obedience Academy. Where every dog has the chance to be our #1 Cadet! 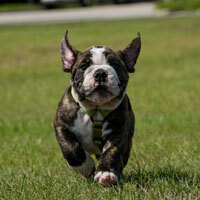 Our basic obedience training will teach your dog leash training and essential commands. Propel your dog's education in our Advanced Obedience Academy! Our advanced obedience training classes are offered exclusively to Cadets who have attended our Puppy Academy and/or Basic Obedience Academy. One of the most inspiring and satisfying services we offer is training assistance dogs for those with disabilities. We are so proud of our Service Dog Academy and the wonderful handlers with which we get the privilege to work. Protection training isn’t for everyone or every dog! 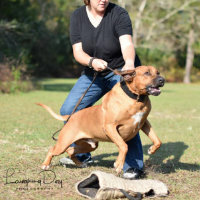 We are not a sport trainer, but we do believe that some dogs have a natural ability to protect what is theirs and some achieve this through professional canine training. 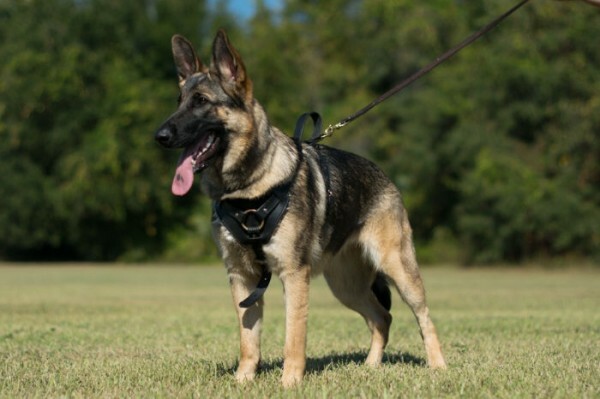 Our Professionally Trained Dogs for Sale are acquired, trained and sold by request only. 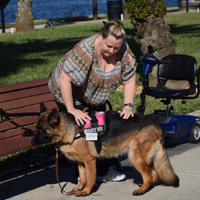 We have provided many happy clients with dogs raised and trained by us including Service Dogs, Obedience Only Dogs and Personal Protection Dogs. We are Certified in Pet CPR and First Aid! Request info with our online form. 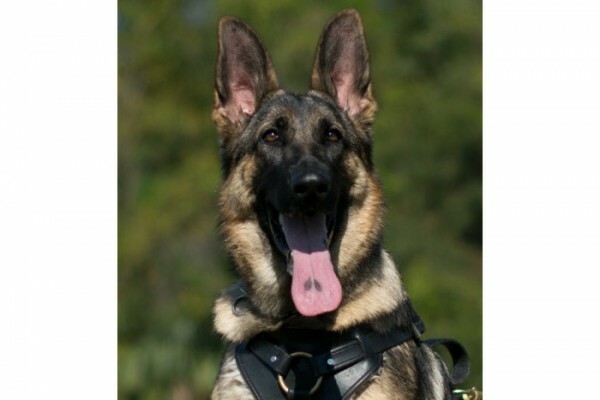 Will be sold with full training contract only of basic and advanced obedience and personal protection. Call or email us for more questions and price. "Every dog wants to be #1!"